As a company accumulates more data, it needs more storage. It can either buy more disc storage or, implement an archiving software solution. Companies tend to lean toward buying more disc storage because it is easier to justify to the finance department. But in the long run, archiving software is the most viable solution, and will benefit your company more. What Are the Benefits of an Archiving Software? By archiving company information, you reduce the size of your database, free up storage space, reduce the amount of time required for backups and improve performance. It is only a matter of time before a system will need an upgrade. SAP recommends archiving before your system is updated to reduce the volume of transaction data. An archived system offers shorter runtimes and production downtime, and also ensures that an upgrade does not have to be interrupted because the size of the database is too large to upgrade over a weekend. Archiving contributes to information management efficiency. Data that is not archived is harder to locate and can sometimes be lost forever. Archiving data solves this issue and makes it easier for companies to keep track of critical information. Archiving helps companies keep track of information and helps restrict access by unauthorized third parties. Archiving company data is also a critical data security solution because it helps ensure data protection. Also, if older data is needed for trial or audit purposes, archived data can be accessed when necessary by authorized individuals. 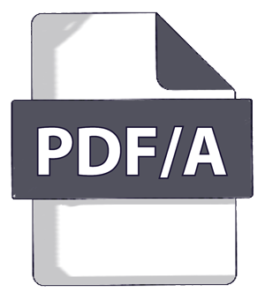 PDF/A is an ISO standard which ensures the long-term, identical reproducibility of PDF files. In some sectors, an archiving timeframe of up to 100 years is required. PDF/A provides this certainty. PDF/A is different from PDF because it prohibits features that are not suitable for long-term archiving. Some examples of these prohibited features are font linking and encryption. PDF/A documents are required to be completely self-contained. Therefore, information that is required to display the document correctly is embedded in the file. A PDF/A file cannot be dependent on information provided by external sources such as data streams, but it can include annotations that link to the external sources. PDF/A can also combine many different formats, is search-capable for texts and offers space for invisible extra functions such as indexing and digital signatures. PDF/A Conversion – SEAL Systems Can Help! Our solution assists your company in the integration of database-supported document management. The SEAL Systems solution checks your PDF files for compliance with the PDF/A regulations and adapts them to fit long-term standards. SEAL Systems can also prepare your documents for you so that the metadata can be extracted from the content. Searchable texts in the data are stored during processing. And, with the help of an integrated search function, the archiving solution can find documents with keywords or a full-text search. SEAL Systems is an active member of the Association for Digital Document Standards ADDS (formerly the PDF/A Competence Center). Interested in SEAL Systems’ PDF/A Conversion Solution? Contact Debra (email, LinkedIn) for more information. 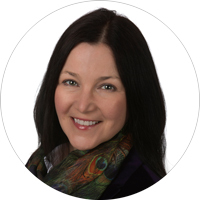 As a SAP Business Development Manager, Debra Garls, seeks to help companies automate, secure and streamline the process of distributing valuable documents throughout the enterprise. Ensuring the right documents get to the right place, in the right format, at the right time.